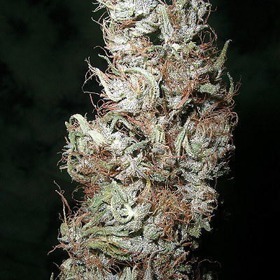 British Columbia cannabis seeds are from an established brand first formed in the early 90's. Since formation British Columbia have gone from strength to strength producing stable f1 hybrids. British Columbia cannabis seeds are available in 5 and 10 seeds per pack. Ready to Get It On with High-Potency Canadian Cannabis Seeds? Canada is well-known for their incredible cannabis industry, and British Columbia is perched right at the top of that frosty heap. Famous for creating incredibly stable F1 hybrids from pure landrace strains, BC Seeds can definitely hold their own with the best Dutch and Spanish breeders. Everything British Columbia Seeds creates is a real knockout, but if you can't quite make up your mind, Couchlock is the Rhino's top pick, This near-narcotic Indica has more than enough power for even the most tolerant collector plus it's great for smaller spaces. Add in a high level of mould resistance and Couchlock is a real keeper! There's absolutely no doubt you'll be thrilled with any British Columbia cannabis seed, and we know you'll be happy with your shopping experience at Rhino Seeds. Factor in our low prices, fast delivery times, discreet packagiing & friendly customer service, and there's nothing not to like about our online seed shop! For the Best Deals, Buy Your British Columbia Seeds from The Rhino Today!